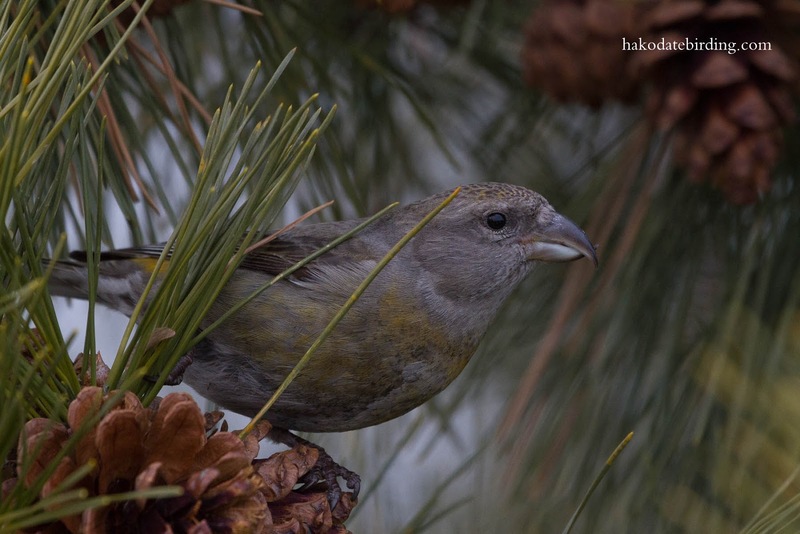 It was a little dark so I was on ISO800 most of the time and I was using the 100-400 so most of the time I was at f8. 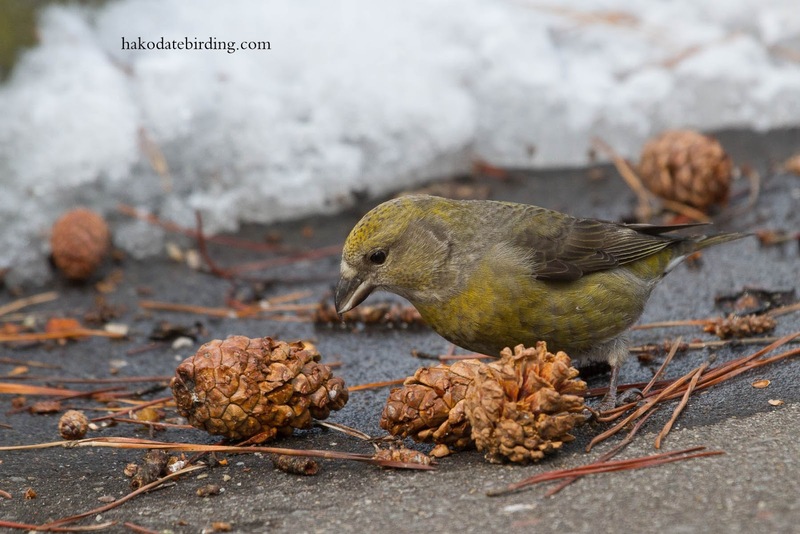 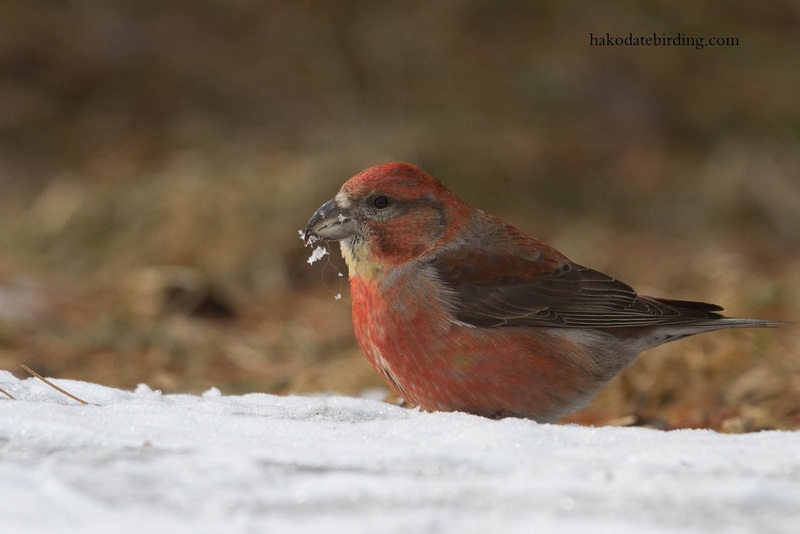 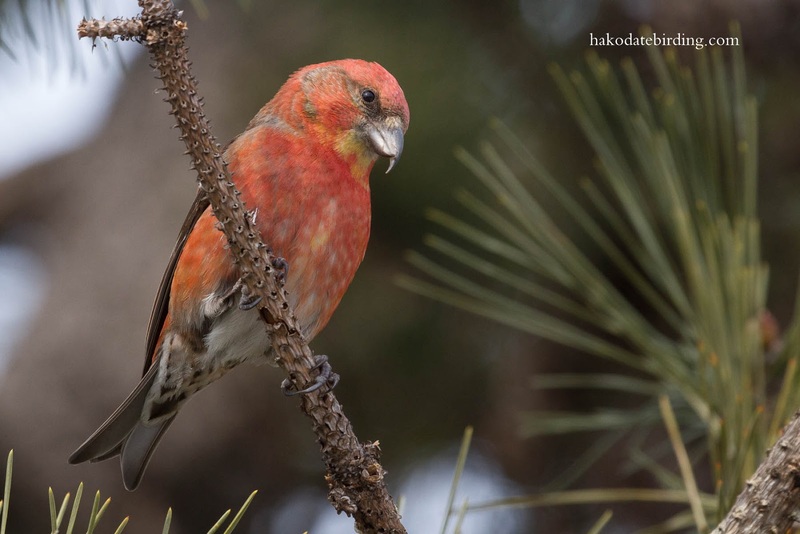 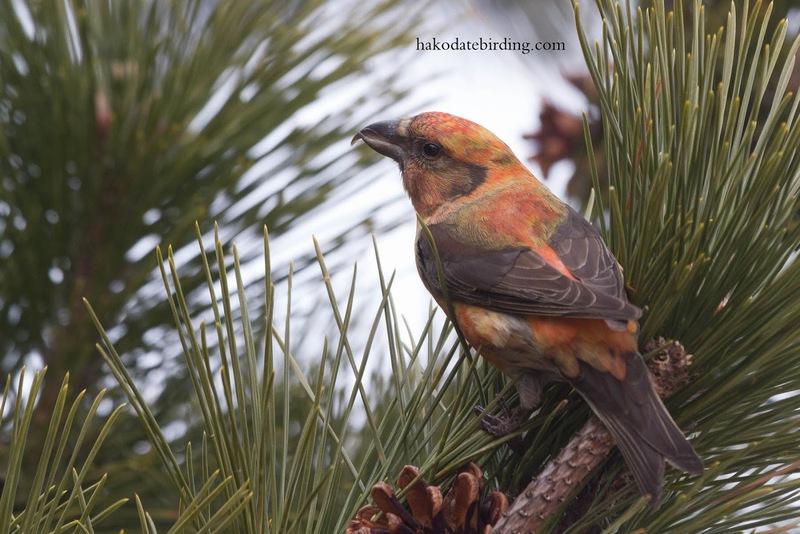 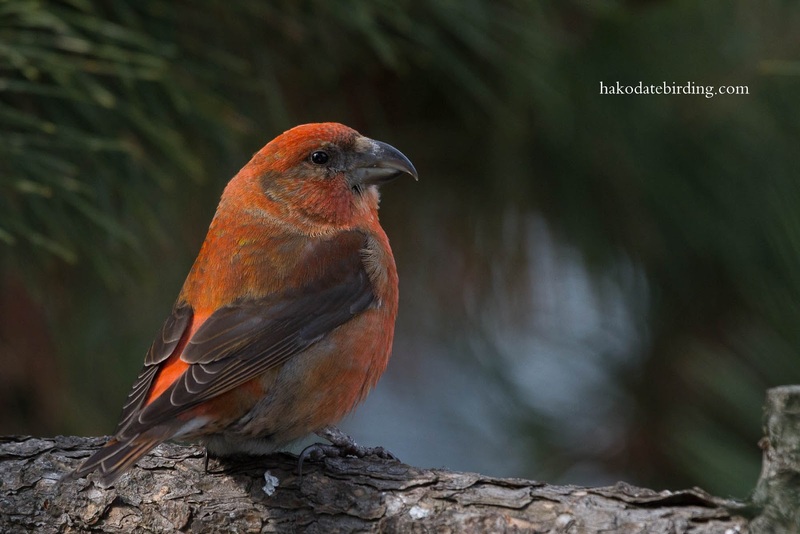 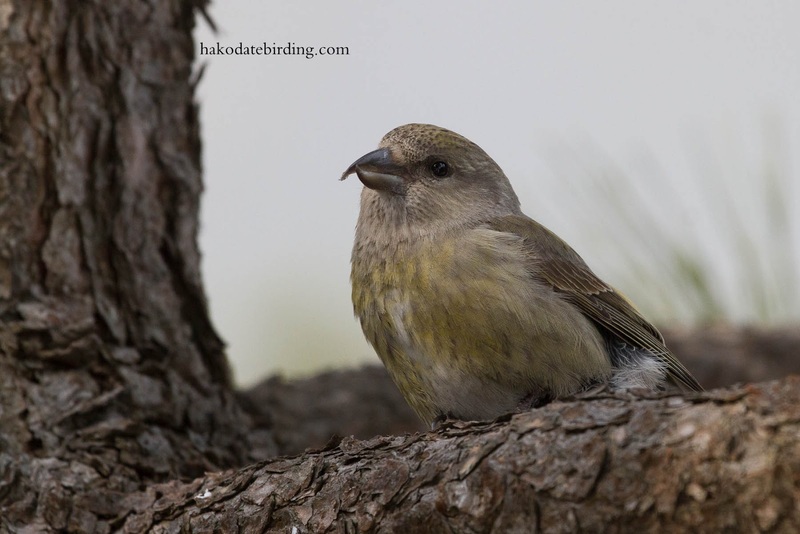 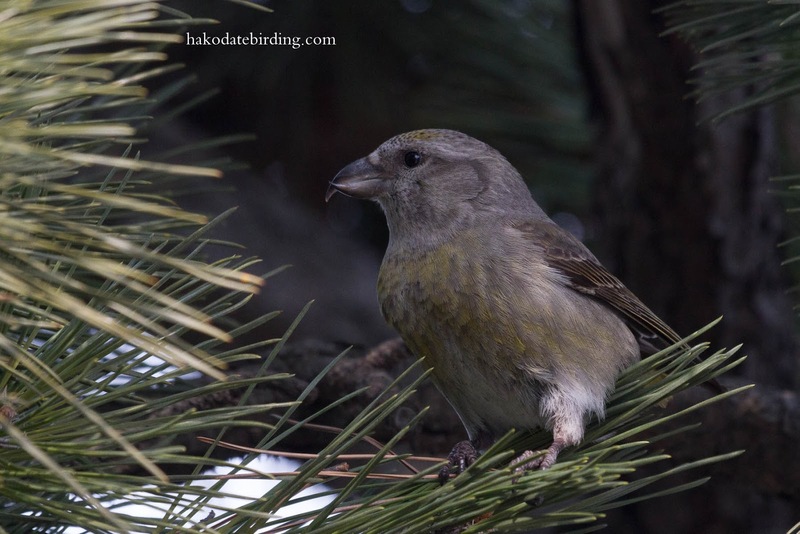 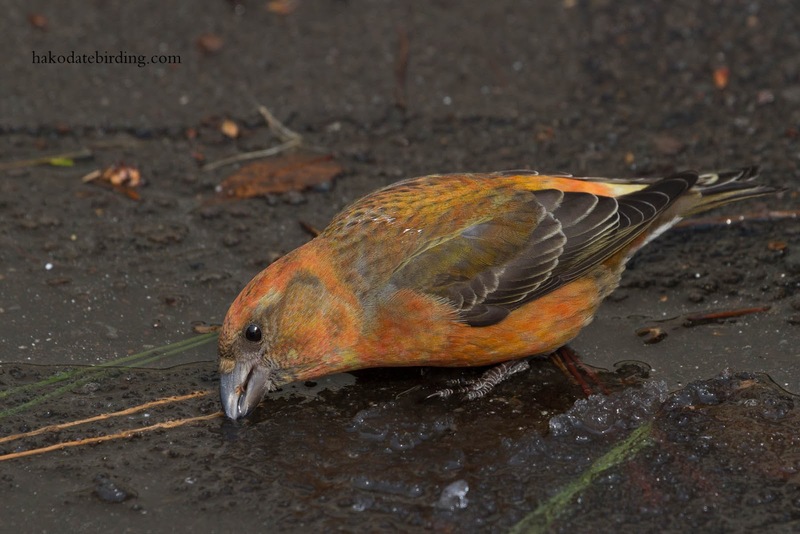 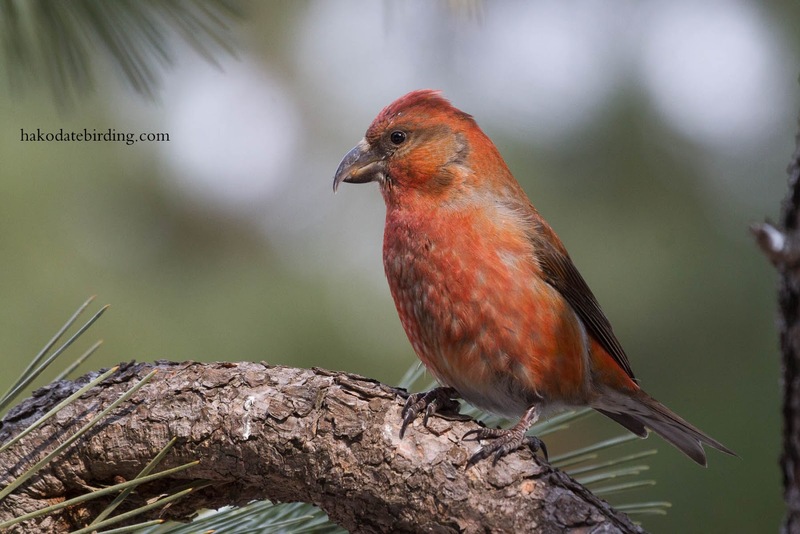 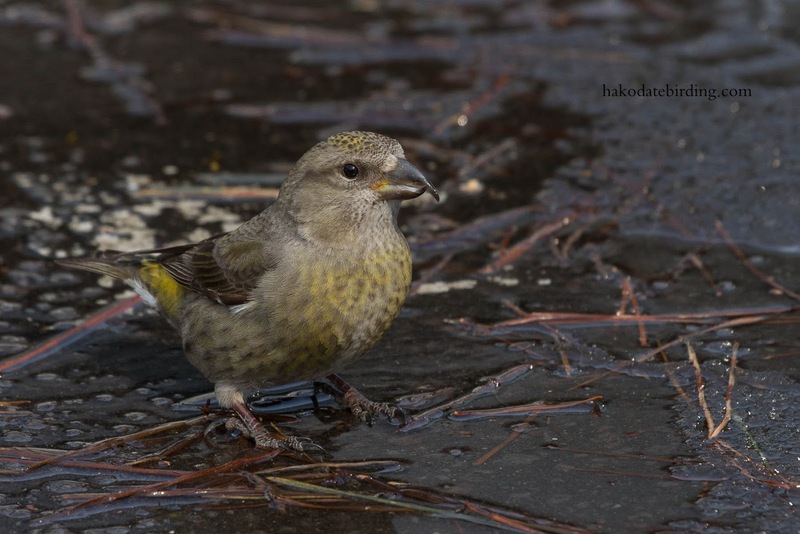 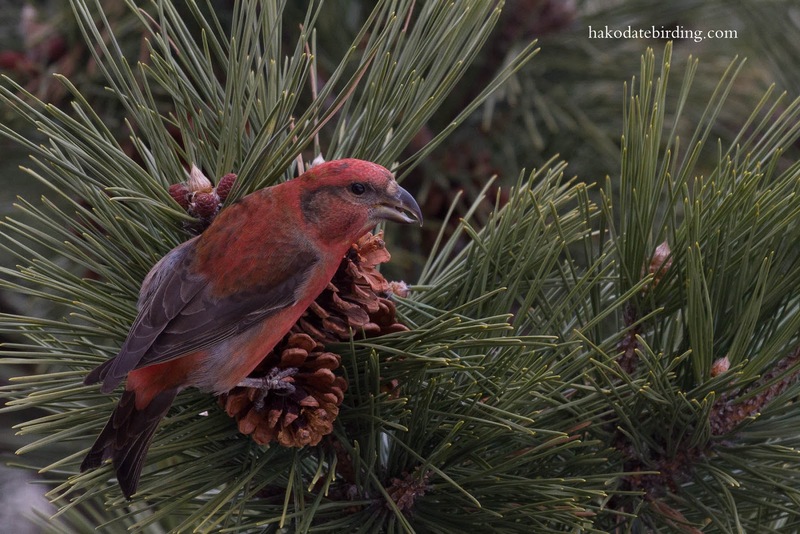 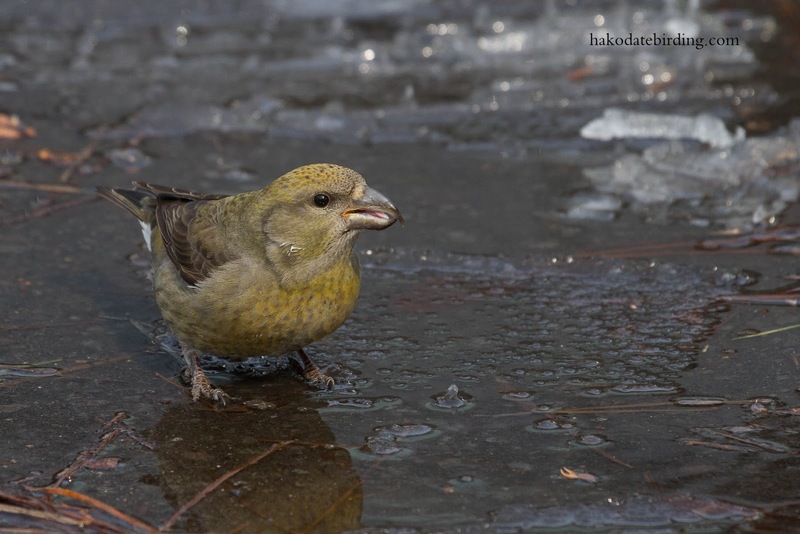 The last big crossbill invasion was 5 years ago and in March 2009 they were abundant in Hakodate. 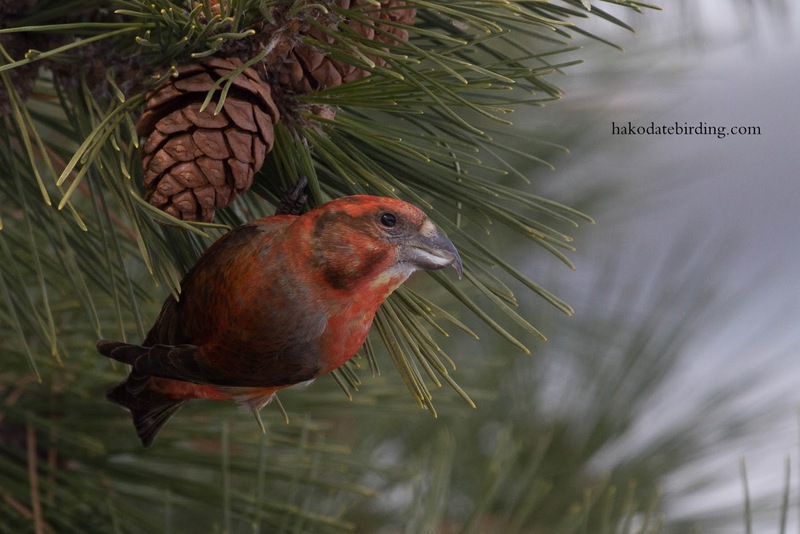 They are beautiful, both birds and photos. 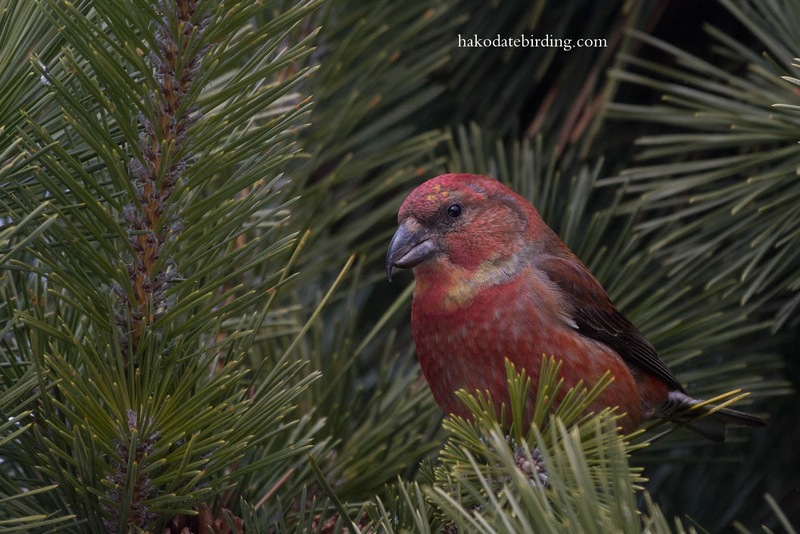 We saw a small flock in the snow in Yellowstone but they colours just weren't like these. 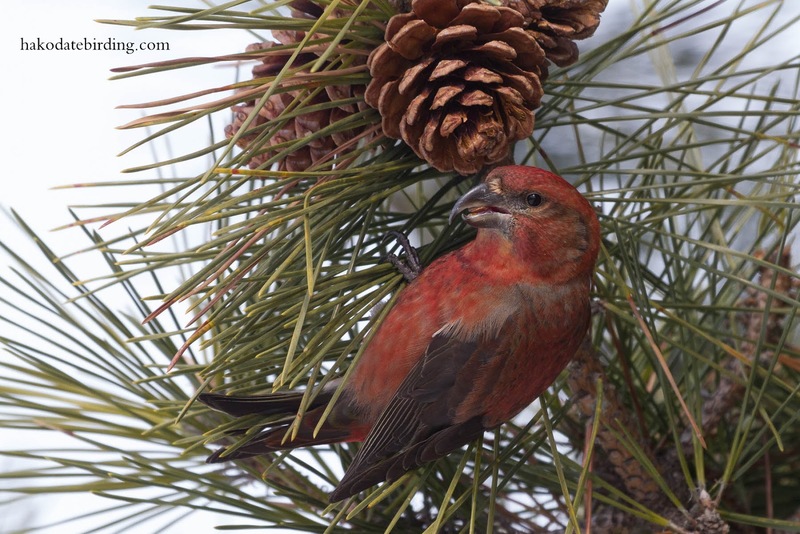 Thanks, in a way I like crossbills just as much was eagles........................maybe even a little more. 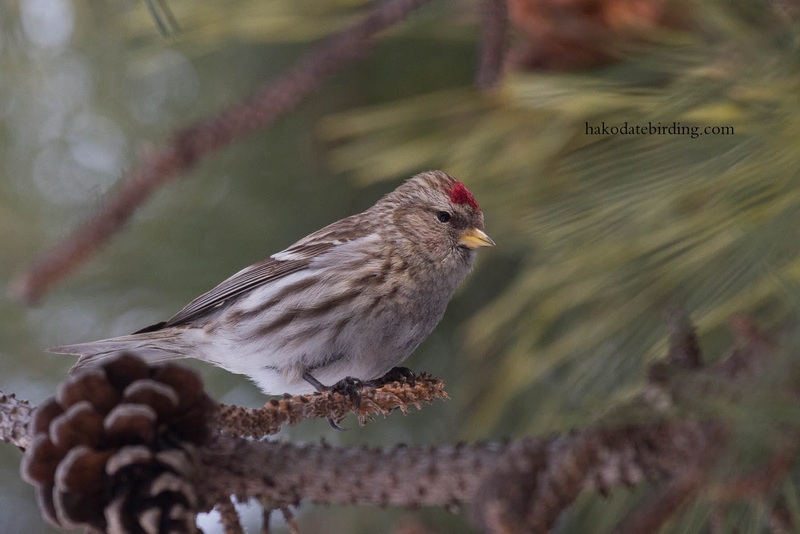 Oh I am SO jealous. 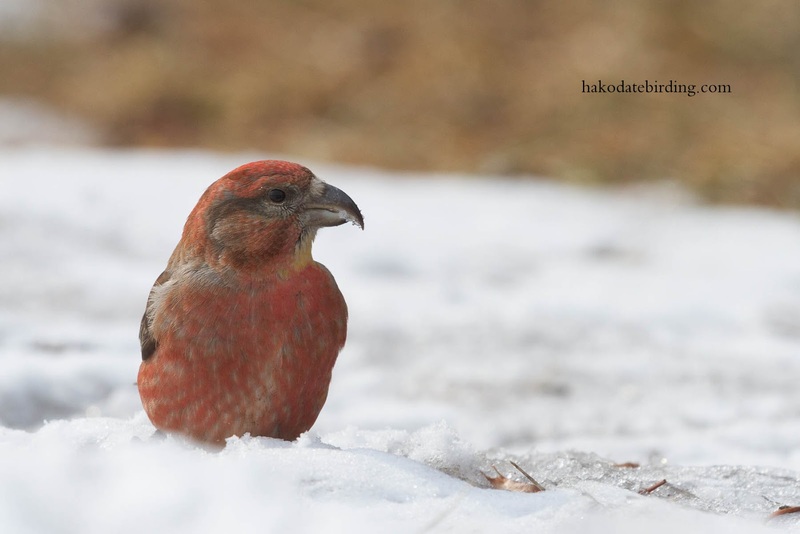 I can see why these are your favourite bird. 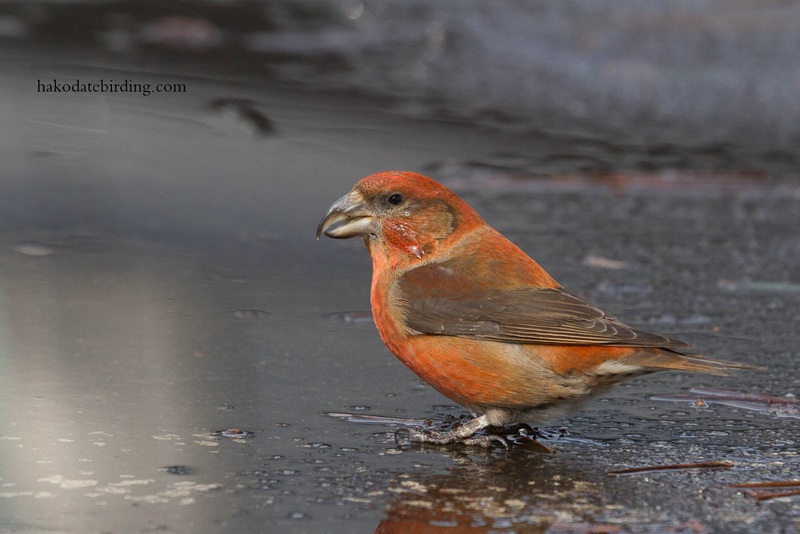 Incidentally, I was using ISO 800 in the sunshine at Marshside! 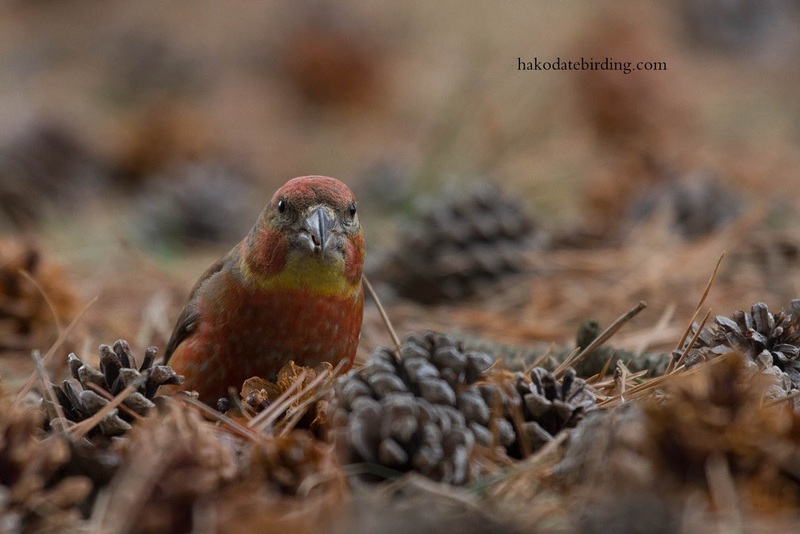 Mind you, I'm usually at f/10. 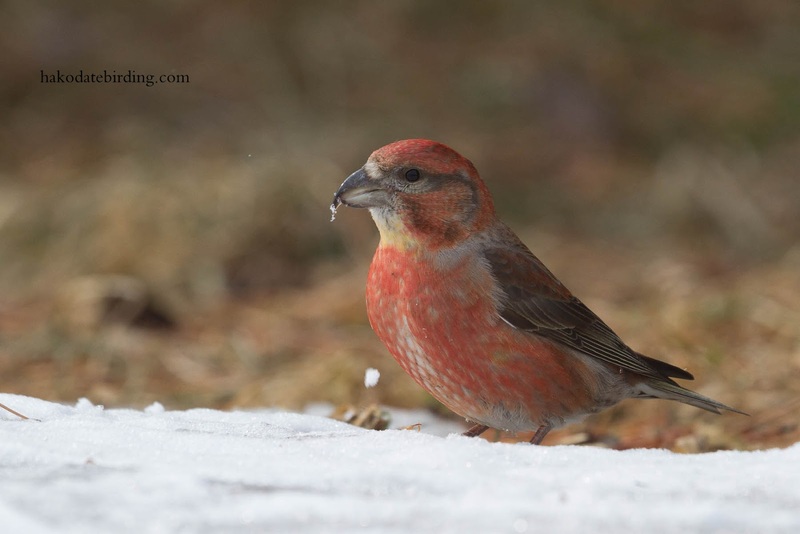 I envy you on both counts! 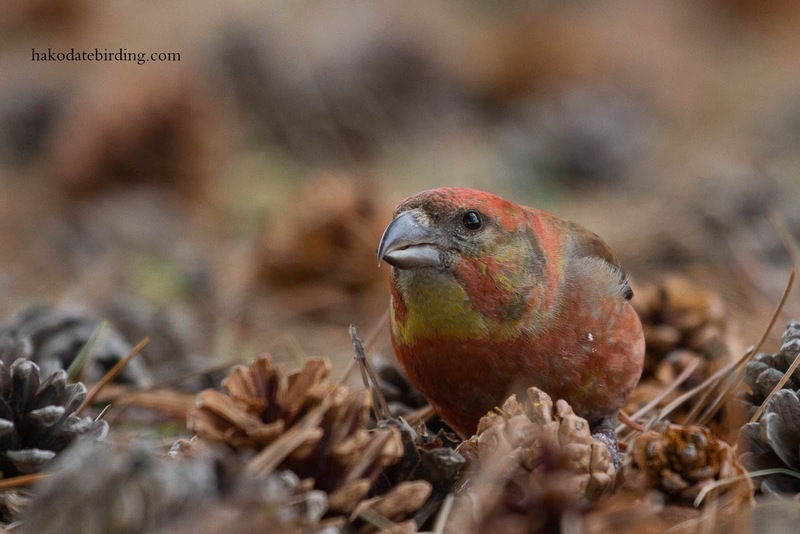 Really great series of Xbills - plumage details/variation are superb. 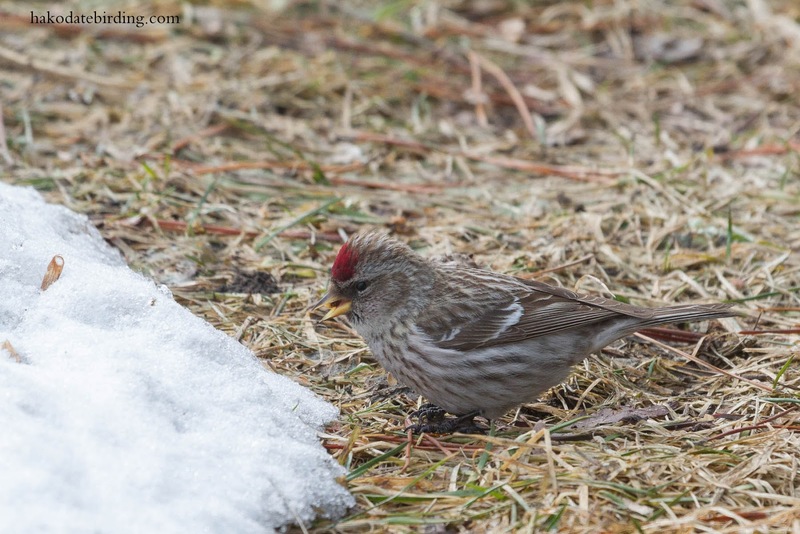 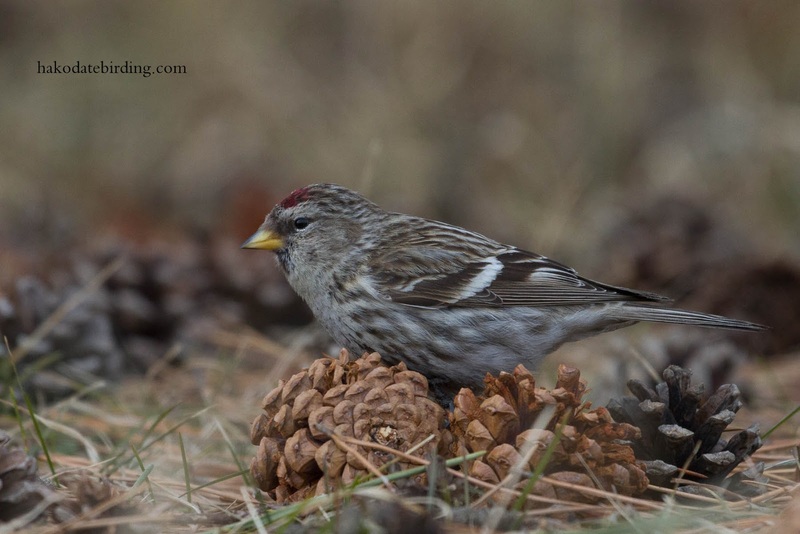 Your Redpoll is very grey - is it flammea (I would call it a Mealy Redpoll)? 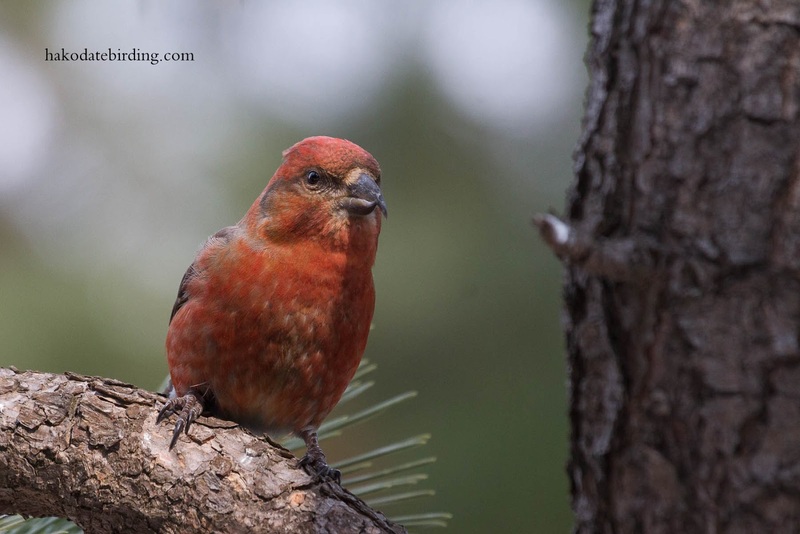 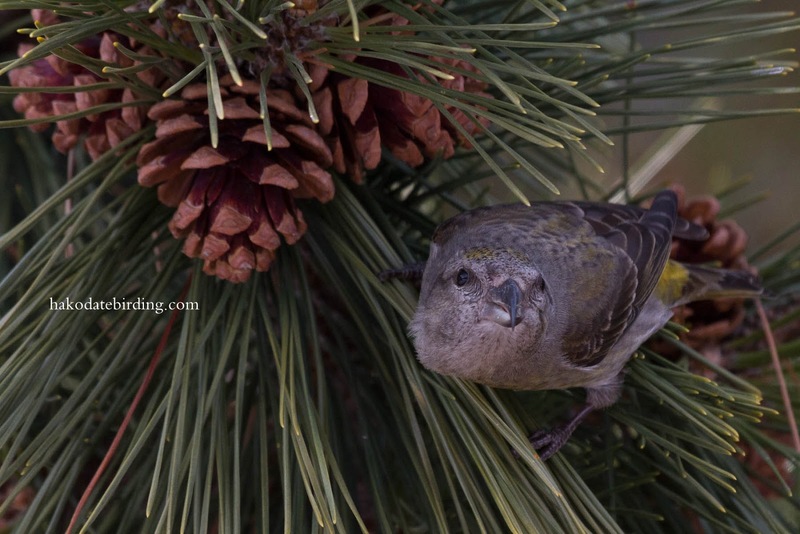 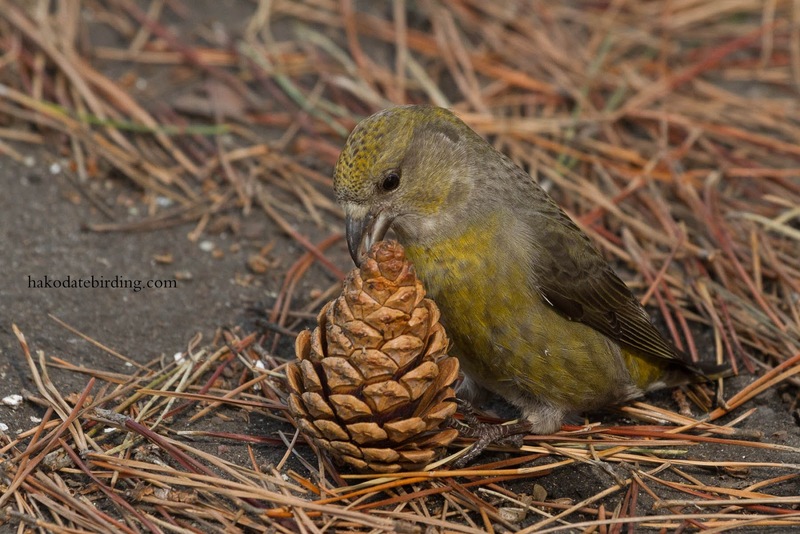 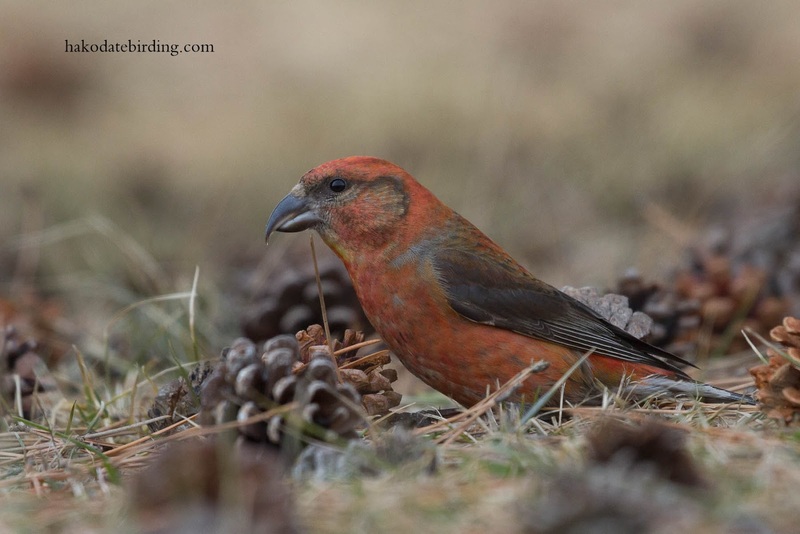 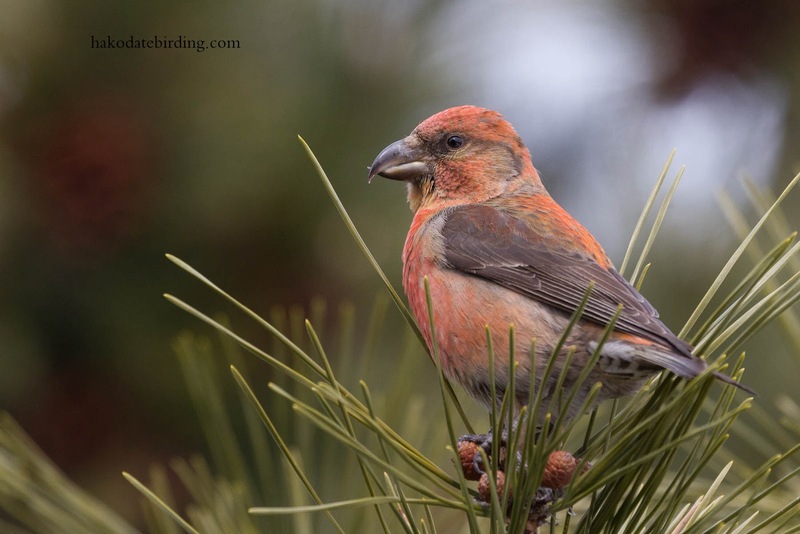 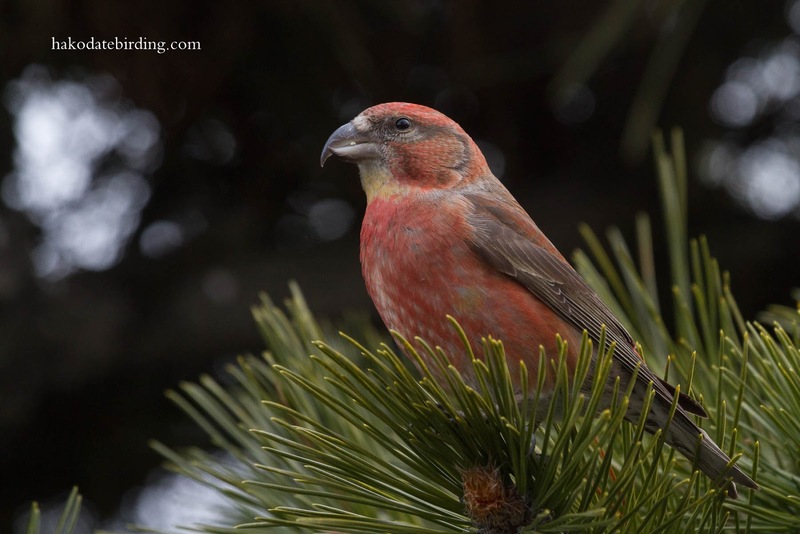 Great set of shots - I have only ever seen crossbills near the top of trees!